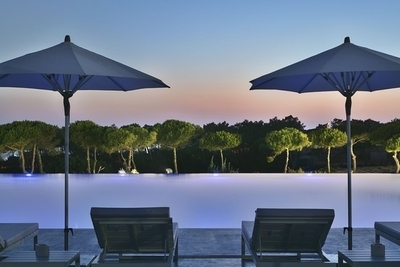 Set within the Sintra Cascais National Park and overlooking Portugal's Atlantic coastline, five star luxury hotel The Oitavos is launching the 'Suited to Surf' package for business guests to enjoy as a group or an individual basis. The package aims to help the active business traveller engage both body and mind in challenging new ways and develop individual or team building skills. As part of a team building programme, the hotel's 'Suited to Surf' package includes private surf lessons with four time national surfing champion, Ruben Gonzalez*. As well as providing business clients with a fun outdoor activity, this surf package enables guests to develop and coordinate key elements used in business – stability, balance and determination. Individual lessons can also be arranged for active guests to improve core strengths needed for surfing. The Oitavos is the ideal venue to do business and enjoy world class support services in a private and relaxed environment; all the whilst offering a wide range of leisure activities, such as golf at the Oitavos Dunes, ranked 65th on GOLF Magazine's 2013 Top 100 Courses in the World, riding at the Equestrian Centre or simply relaxing at the full-serviced destination spa with indoor and outdoor pools. With a variety of offerings for business and incentive travel, the hotel features 9 meeting rooms catering, for intimate groups of 10 or conferences up to 1300 guests. It is also complete with a state-of-the-art showroom for large presentations, a fully equipped business centre with high speed wireless internet and audiovisual equipment, as well as dedicated facilities for groups including a private entrance, separate check in desk and dining facilities. 'Suited to Surf' offers a unique business programme with the opportunity of combining a fun activity with certain skill sets used in business and discovering some of the area's most stunning beaches. *Surf lessons may be assigned to other surfing professionals subject to Ruben Gonzalez's availability and may be transferred to other beaches in the Estoril Coast depending on the sea conditions and guest requirements.